1099 MISC Box 10 is Crop Insurance Proceeds which is about the money proceeds from crop insurance as offered by insurance companies to farmers of the land who are insured in the USA. Hence it is the insurance companies who need to attempt or see this box-10 for the appropriate payments made or to be made to farmers as relating to farmers ‘crop insurance property. But if any farmer notifies the insurance company that the expenses due to farming in rough and good weather are capitalized under section 278, 263A, or 447 then the income be exempted from taxes through IRS Form 1099-MISC. The “capitalized” here means the advantage as given to the farmers or farmers taking advantage through the Governments’ policy so as to help and nurture the farmers’ activities towards cultivation and developing good crops for the nation’s needs. This is no subsidy but a relief to farmers cultivating crops for the nation. However, there is a limit as prescribed to be $600 as the standard threshold to crop insurance proceeds as a relief and furthermore to $600 need to be reported in form 1099-MISC as against the minimum threshold of $600 should be understood. Therefore it is the insurance companies who are responsible for making payments to farmers are the one to correctly report towards this Box-10 of IRS form 1099 MISC. 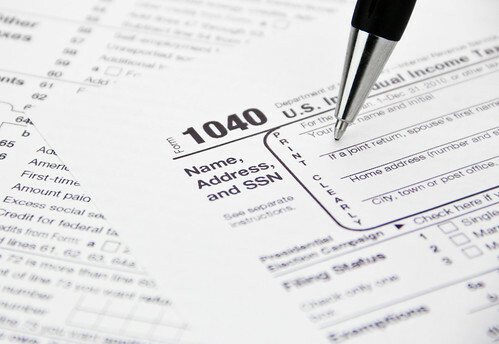 Box-14 –Gross Proceeds Paid to an Attorney- As according to IRS the form 1099-MISC Instructions, If one has paid $600 or more for any connection with legal services not-withstanding of say the services are performed for the payer. A court judgment against a defendant brings in a scenario that the payments are determined to be made eligible as payable to a claimant’s attorney in conjunction with the case. The attorney is broadly defined to include any provider of legal services such as law firms, paralegals, court reporters, and so on. Legal services refer to any service offered under the supervision of an attorney including related services. The corporate exemption does not apply for payments made to attorneys. Applicable exemptions include wages paid to an attorney as wages, which should be reported on Form W-2, and payments by the entity to its own defendant, which should be reported on 1099-Misc Box 7. Additionally, payments to any nonresident alien are excluded because they are reported on Form 1042-S. Additional exclusions for specific types of legal services and relationships apply as well. The standard $600 reporting threshold applies to gross proceeds paid to an attorney. For more information please follow-up with IRS guidelines and as well as for your e-filing tax returns for 1099-MISC Register with us and start Filing. CLICK HERE TO REGISTER WITH US TO E-FILE 1099-MISC FORM TODAY!